One in 100 British Columbians are diagnosed with schizophrenia, but so many more live with it….their parents, brothers, sisters and other family members…all struggling to understand, support and be there for their loved ones. We all know someone whose life has been affected by mental illness. BCSSF programs and research save and transform lives and this is only possible because of the generosity of donors like us. That is why I am asking you to consider making a gift this holiday season, and I will personally matching any donation you make to B.C. Schizophrenia Society Foundation until December 31stup to a total of $10,000. This means that any special gift you make will be doubled, for example $50 or $100 will become $100 or $200. Every gift makes a difference. There may be someone you want to honour with your donation. 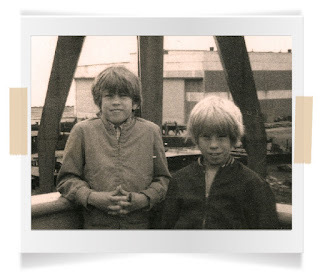 I am making my gift in memory of my little brother, Dave Sandy. After struggling with schizophrenia for nearly 30 years, Dave took his life. Years later, Dave was finally diagnosed with schizophrenia. As you likely know, what happened after that wasn’t pretty. There were many sleepless nights. Dave suffered from the side effects from either too much or not enough antipsychotic medication. I most remember our first trip to the hospital to admit Dave. My dad, brother and I were walking with Dave from the Emergency Room to the Psychiatric Ward. From a thousand games of touch football with my little brother, I knew when he was getting ready to run. Sure enough, as soon as we were outside, Dave took off. As I was running after him, all I really wanted to do was run with him – to run as fast and far away as we could to get away from schizophrenia. When he was 46, Dave suddenly became very depressed and within a week, took his life. Dave’s passing has left a huge, gaping hole in our family that can never be filled. It’s been six, long years since Dave has died, after decades of battling with schizophrenia – I wish he was here today. I wish I could spend more time with him. He was a great guy. Families and their ill loved ones are waiting far too long for programs and services they desperately need. And we know that families in crisis do not have time to wait. At the same time, researchers are seeking to improve early diagnosis, investigate impacts on the brain and find better treatments. Perhaps, if there had been an organization like B.C. 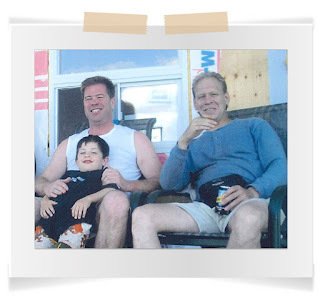 Schizophrenia Society Foundation in Peterborough Ontario when Dave and I were growing up, we might still be playing football today…and doing so with our sons. Please consider making a gift today and I will match any donation you make from now until December 31st up to a total of $10,000.